Prior to the Shanghai Auto Show 2015 later this month, an official sketch previewing the upcoming Mercedes-Benz GLC Coupe has just been revealed. Before the release of this image, no-one even knew that the GLC Coupe was being developed with all the news focusing on the impending Mercedes-Benz GLC four-door set to replace the GLK. With the GLC Coupe however, the German marque will attempt to directly rival the BMW X4 and the concept previewed here closely resembles how the production car will look. While sharing the GLC name, the Mercedes-Benz GLC Coupe will be smaller than the regular GLC and sit below the GLE Coupe in the firm’s line-up. With that in mind, it will be underpinned by the same architecture as the W205-generation Mercedes-Benz C-Class. 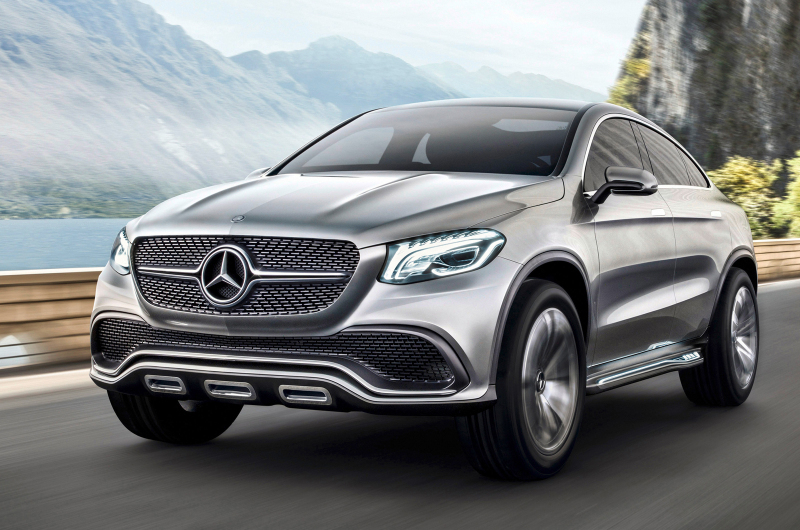 As evidenced by the image, the GLC Coupe Concept is evidently a Mercedes-Benz with a prominent grille incorporating the brand’s logo as well as sleek headlights and gaping wide air intakes. While it remains unclear how the four-door GLC will look as prototypes have only been spied with heavy camouflage, it seems evident that the GLC Coupe will be easily distinguishable with a selection of new body panels and not just the removal of two doors. Beneath the skin, we can expect the same line-up of engines for the GLC Coupe as the GLC SUV. As such, engines including a small 1.8-litre petrol four-cylinder, 2.1-litre four-cylinder diesel and a hybrid powertrain are all likely.